Can you believe Thanksgiving is just in a couple of days?! We’ll soon be gathered around the table enjoying our favorite dishes with friends and family. While the standards will be on the menu we always like to bring something new, a surprise. 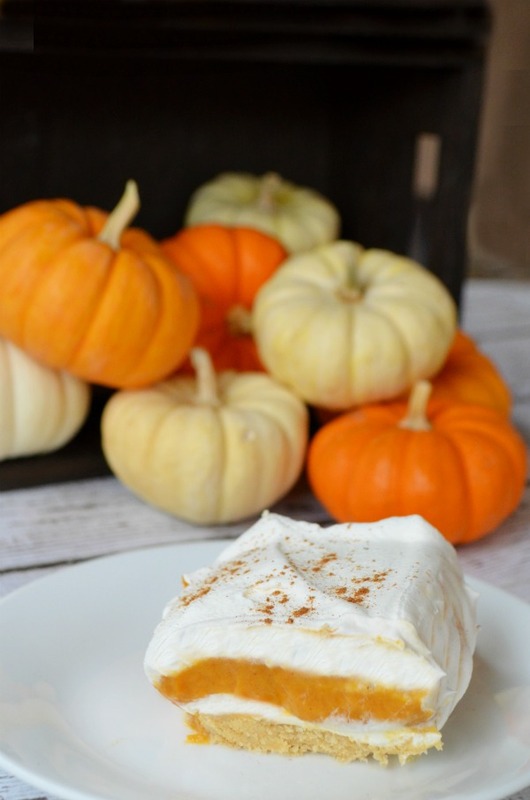 This year I’ll be sharing this delicious pumpkin pie lasagna layered with shortbread, pumpkin, and spiced whipped topping. 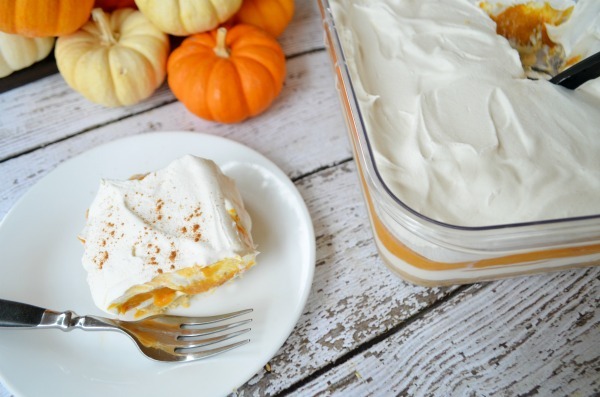 I’ll already be working up a sweat in the kitchen making pounds of potatoes so I’m happy to take a break with this gorgeous yet simple recipe for pumpkin pie lasagna. This is something the kids could easily pitch in on with no baking or cooking required. 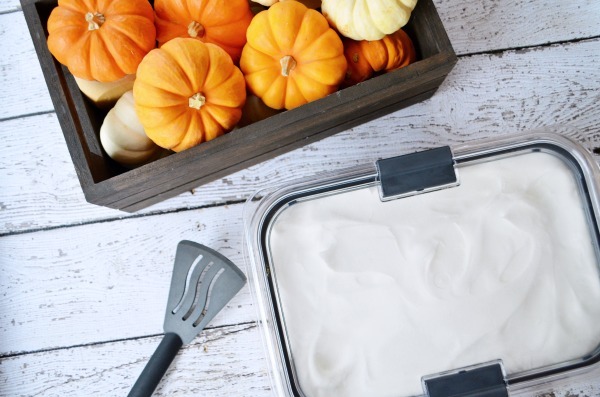 It’s low mess as everything for the most part is made right in a large Rubbermaid Brilliance container, save a mixing bowl or two. 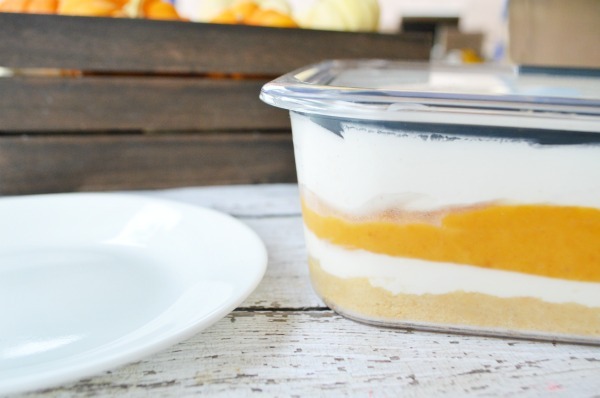 It’s crystal clear design means the layered pumpkin dessert will take center stage, and be ready to take home leftovers, if there’s such a thing for desserts. Lay and pack shortbread cookie crumb crust on the bottom of the container. Top with cream cheese, whipped topping, and powdered sugar layer. 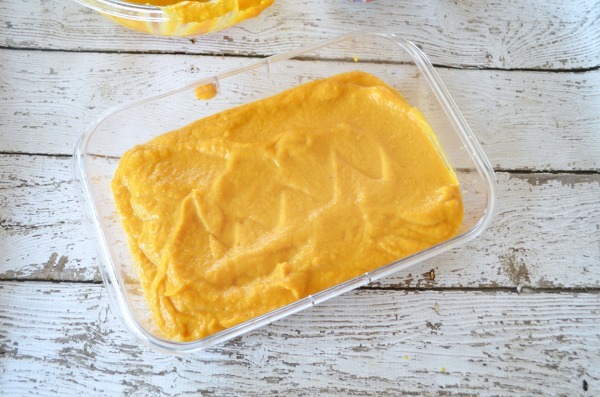 Combine pumpkin puree, white chocolate pudding, milk, and pumpkin spice. 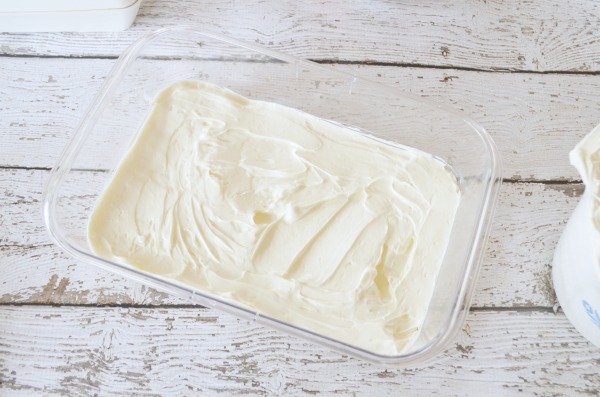 Spread mixture over cream cheese layer. Top with final whipped topping layer. Top container with leak proof lid and refrigerate 3 hours before serving. Top with a sprinkle of pumpkin pie spice for a little garnish. 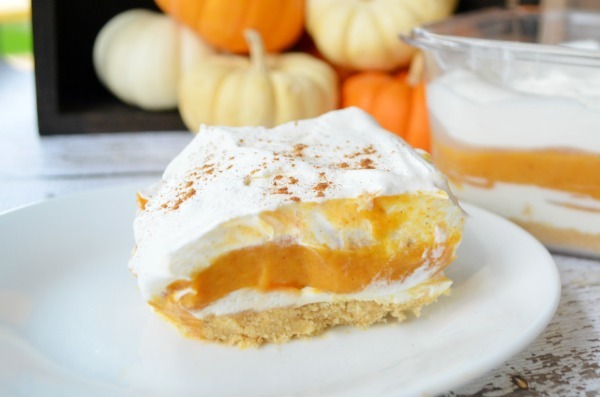 Delicious layered no-bake Pumpkin Pie Lasagna. Perfect recipe for fall and the holidays. 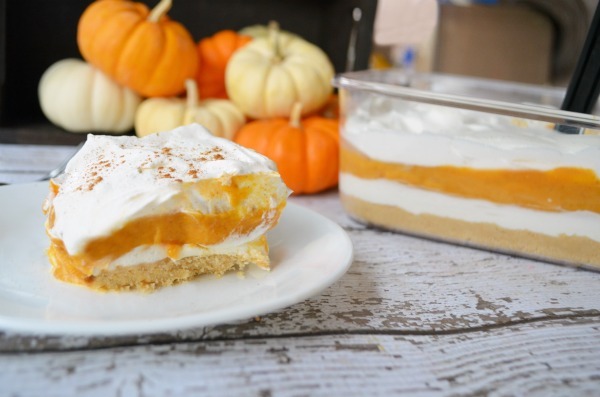 Layers of shortbread, pumpkin fluff, and whipped topping. In a food processor grind shortbread cookies into a fine dust. 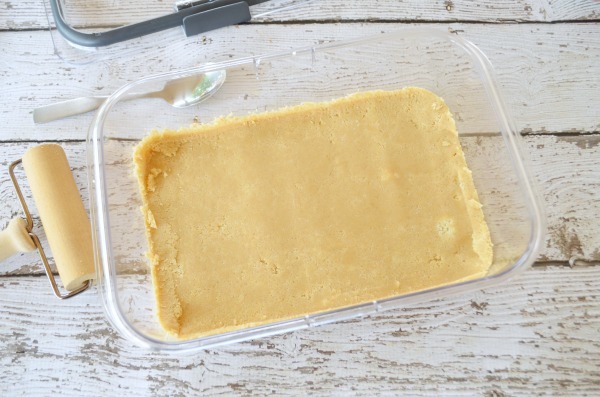 Press the shortbread crumbs into the bottom of a large Rubbermaid Brilliance container. Use a handheld wheel until it is packed down. 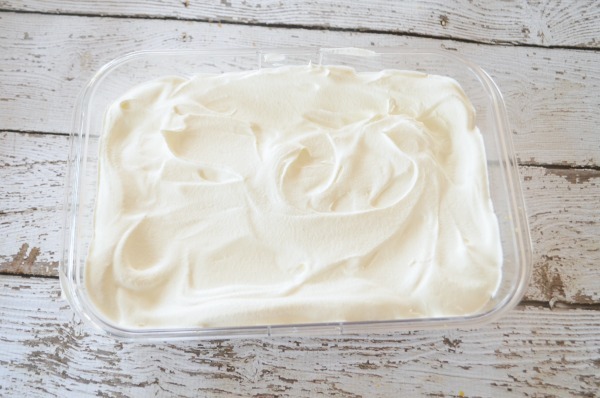 Mix together whipped topping, cream cheese, and powdered sugar. Spread mixture over shortbread crust. Combine milk, white chocolate pudding mix, pumpkin puree, and pumpkin spice. Spread pumpkin mixture over the cream cheese layer. 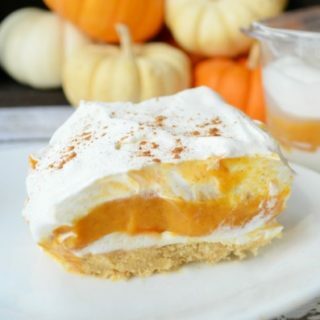 Spread whipped topping over the pumpkin layer, then sprinkle with pumpkin spice. Yum! Doesn’t this dessert sound amazing. Simple ingredients, easy assembly and cleanup. 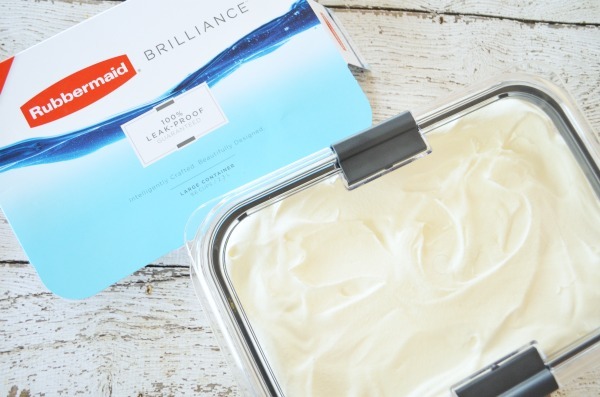 It’s no surprise why Rubbermaid Brilliance will be the star of our Thanksgiving celebrations this year. Everyone wants to take a plate of leftovers home and this new concept in food storage has the simplicity and brilliance to take you from serving to storage seamlessly. It’s leak-proof guarantee means no messy gravy spills on the way home. The stain and odor resistant Tritan material means the holiday lasagna can be reheated right in the container, making for easy enjoyment of leftovers. I picked up my Rubbermaid Brilliance container at my local Fry’s. 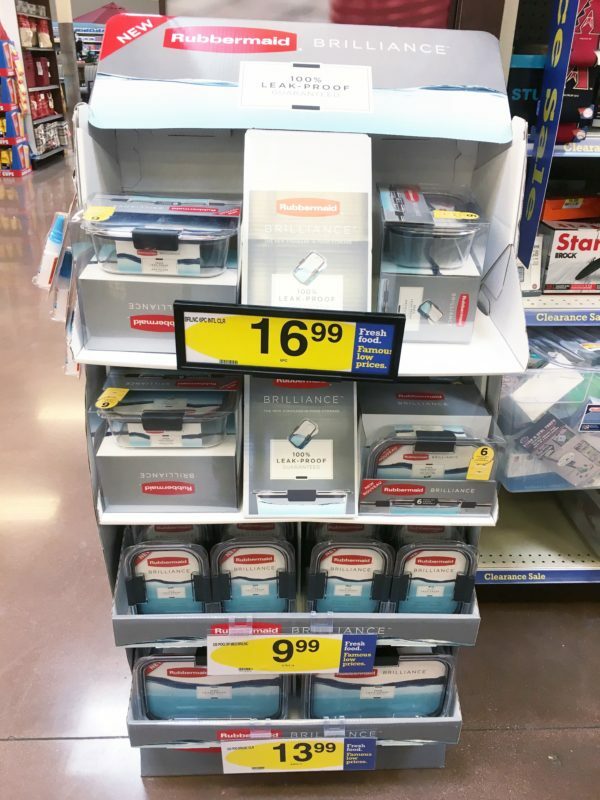 Find them in a convenient special display right where food storage containers are sold. Then, don’t forget to grab a $2 Ibotta Rebate Offer for a limited time on individual Brilliance container and $4 off a Brilliance set for easily and safely transporting leftovers home this holiday season. What new dishes will be taking center stage at your Thanksgiving celebrations this year? Try this Pumpkin Pie Lasagna and these other great side dishes: Lemon Herb Brussels Sprouts and Lemon Herb Mashed Potatoes.